The next step for our sun room was furniture. I couldn't find anything I liked within my budget so GB decided to build it himself. We were able to pick up a few pallets for free, he bought a few 2 x 6s and 2 x 4s from Home Depot and grabbed his power tools. I did not have much to do with this "craft" so I warn you, the description is really crummy. 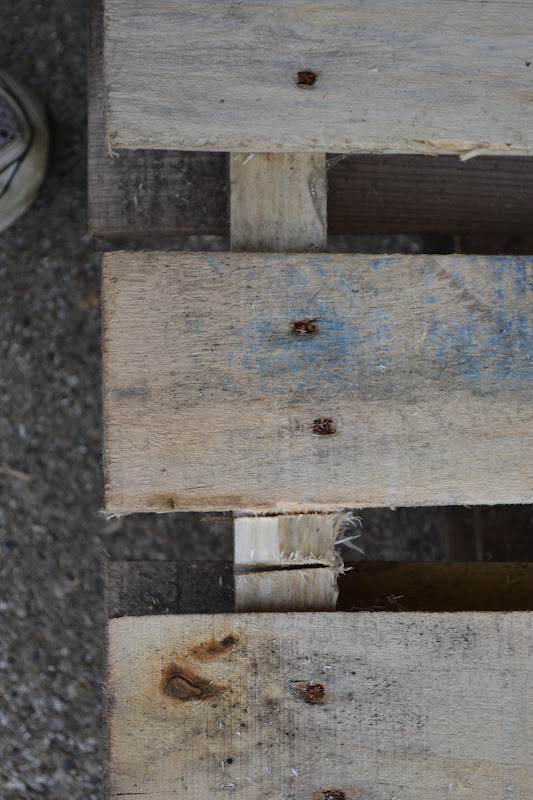 After sanding the wood he used Power Tool A to cut some portions of the pallet away. With some math and Power Tool B he added on some of the new wood he purchased. I helped tap a few nails in. I kept it classy working with Coors Light. After this happened, GB instructed me to stop helping. Now it was my turn to help. 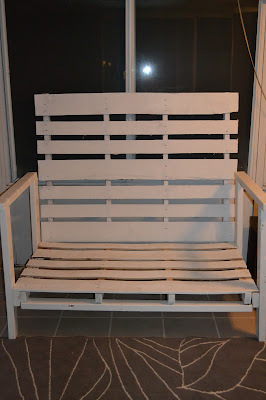 I painted the entire bench white. The back of the bench was not attached at first. This made painting the bench much easier! The coolest thing about this bench, is that GB had no instructions. He was able to build furniture from pallet wood with nothing other than his own thoughts and power tools. Tell me you're not impressed! The next step for me is to sew some pillows together for the bench. I'll most definitely share that with you when I'm finished.